Luxury hotel, Marina Bay Sands recently opened the doors of its microcosm to the public and has already wowed tourists with its unique and luxurious design. 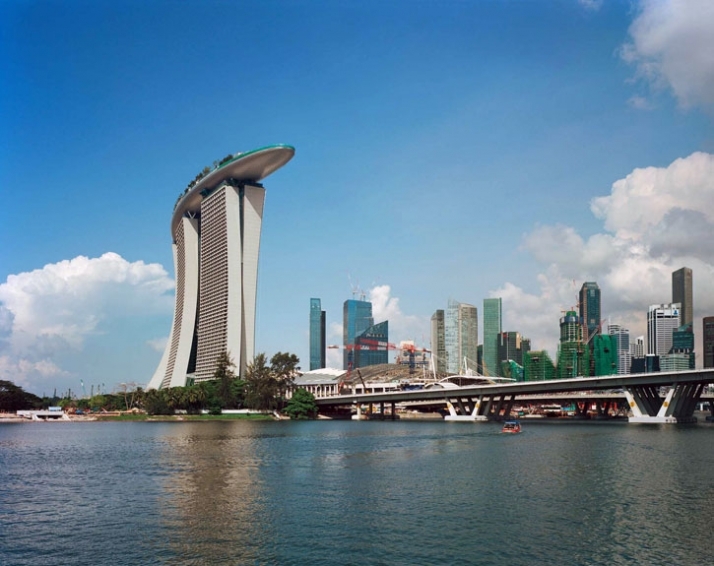 The Marina Bay Sands hotel is located in Singapore has been designed with one goal in mind, to be the leading business, leisure and entertainment destination in Asia. 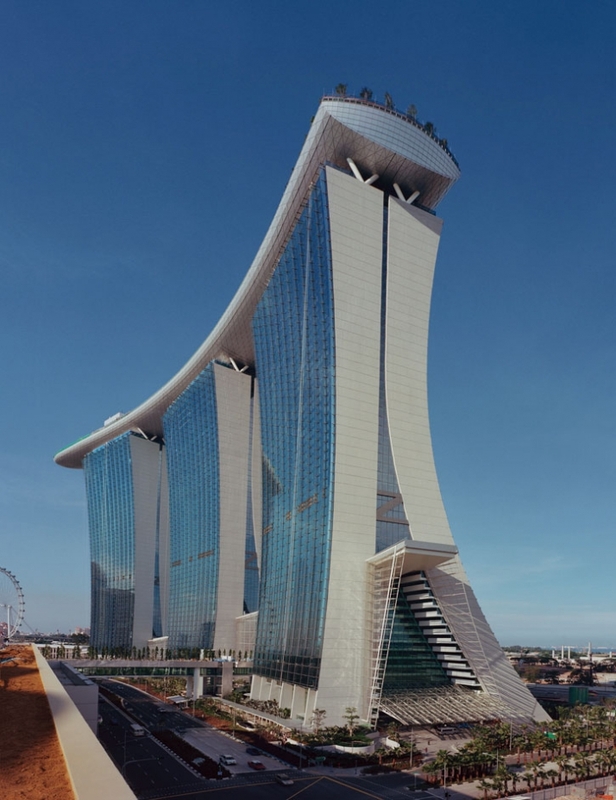 It holds the title of the most expensive hotel built till this day, as its investment by the Las Vegas Sands Corporation reaches $5 billion. 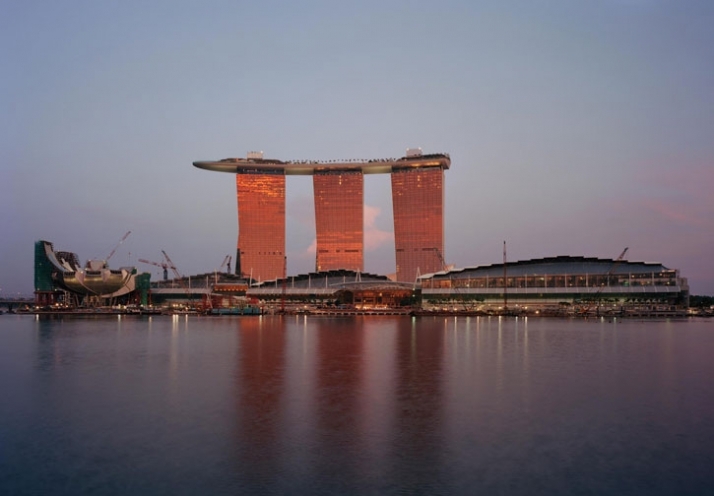 The Marina Bay Sands hotel is a mixed-use integrated resort with 2,560-rooms, three 55-storey towers, a 150-meters infinity pool on top of the towers, an indoor canal, a museum shaped like a lotus flower, the best shopping mall in Asia and world-class celebrity chef restaurants. Furthermore, it includes theatres, an outdoor event plaza, a convention center and a casino with private gaming rooms for premium players. 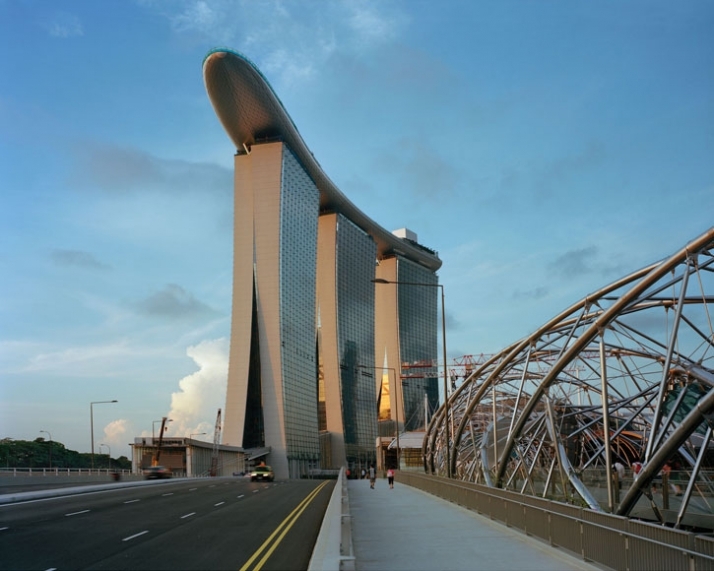 Marina Bay Sands has been designed by Boston-based internationally renowned architect Moshe Safdie. 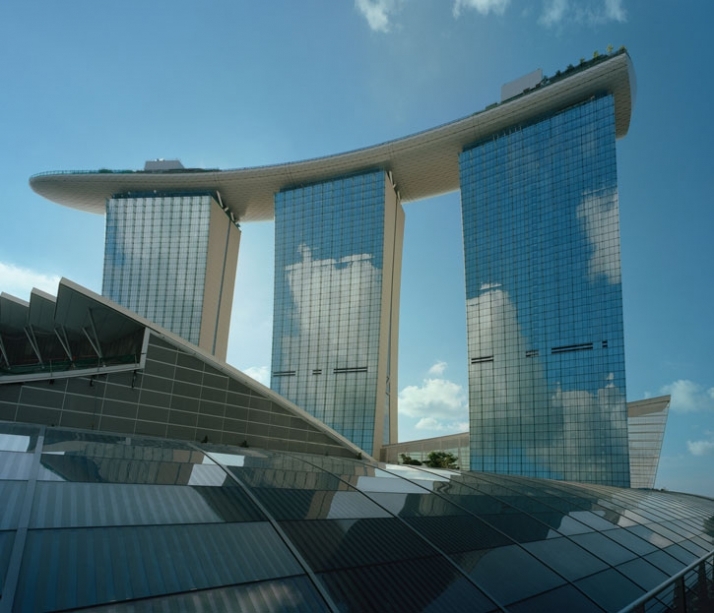 Moshe Safdie was invited by the Las Vegas Sands Corporation to develop a competitive design proposal for Marina Bay which would be presented to the Government of Singapore. 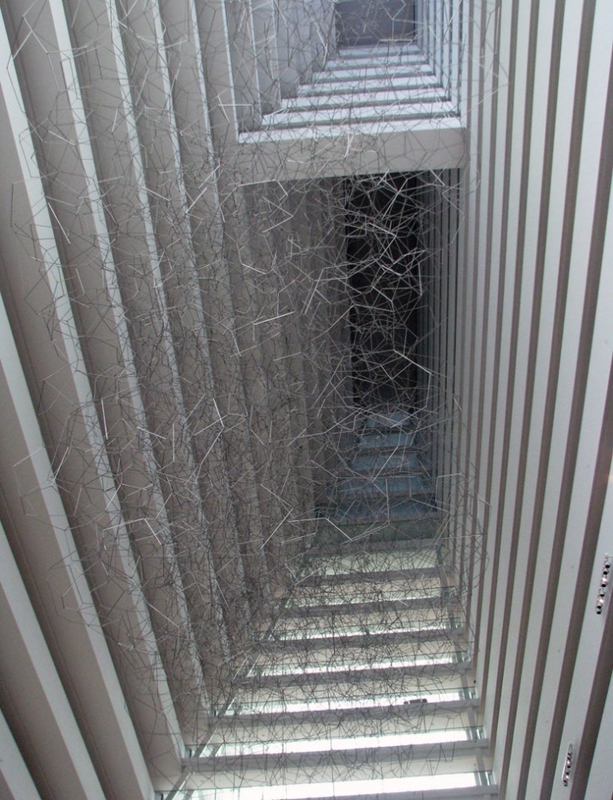 According to Safdie “our challenge was to create a vital public place at the district-urban scale, in other words, to address the issue of mega scale and invent an urban landscape that would work at the human scale.” The hotel’s design could easily resemble a wicket, where three cricket stumps (vertical posts) support two bails; in this case the bails are resembled by the boat shaped deck which tops the tree stumps. 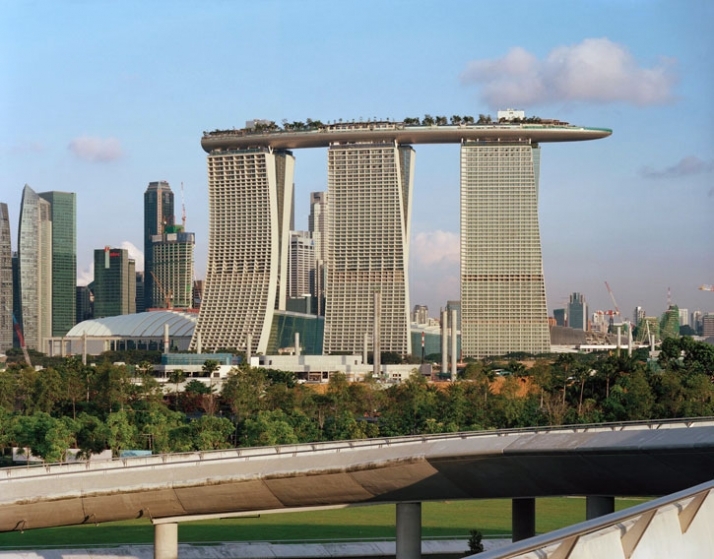 However, according to Safdie the development is inspired by great ancient cities that were ordered around a vital public thoroughfare, Marina Bay Sands is organized around two principal axes that cross the district and give it a sense of orientation placing emphasis on the pedestrian street as the focus of civic life. In other words, the design “weaves” the components of an intricate program into a dynamic urban crossroad for a vibrant city life! 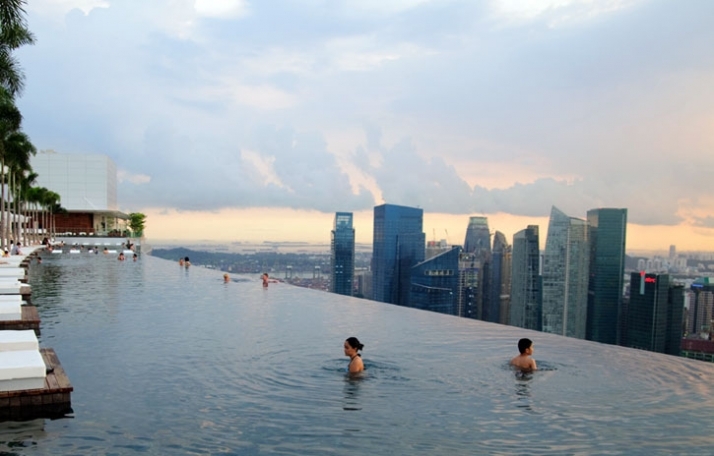 Render of Sands Skypark by Safdie Architects. 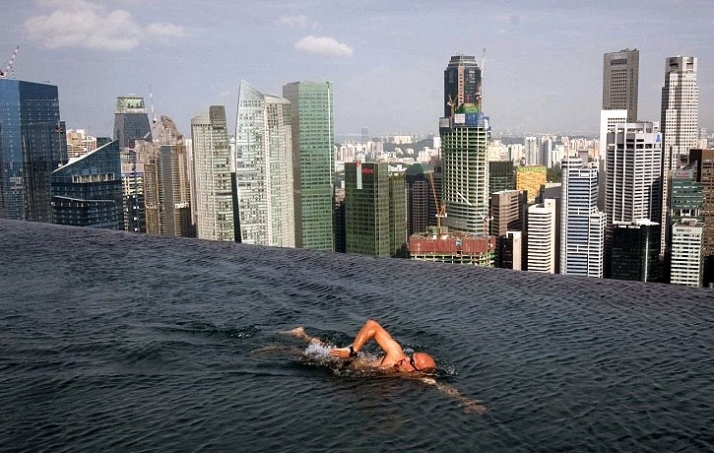 Courtesy of Marina Bay Sands. 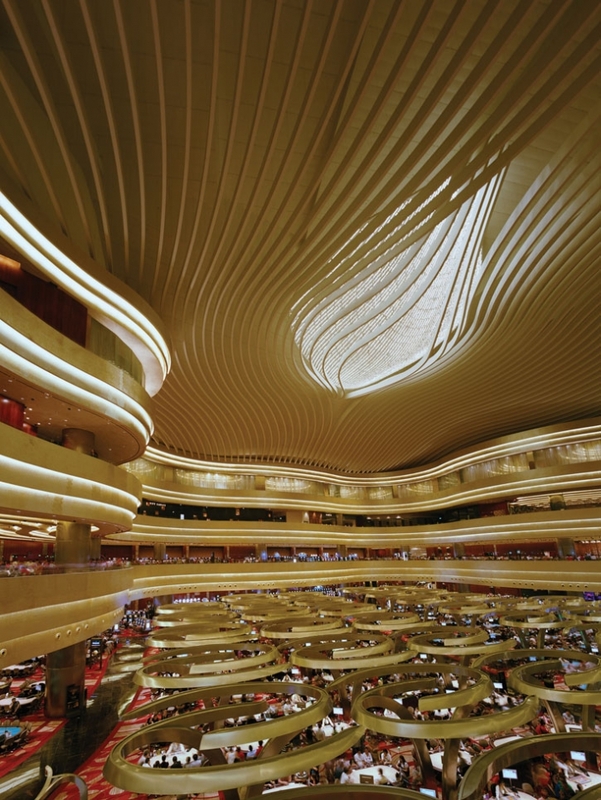 The total surface area of the three 55-storey hotel towers totals 929,000 square meters (10 million square-feet). The three distinct hotel towers anchor the district and are connected at the top by the 1 hectare (2.5- acre) Sands SkyPark where one can relax in the tranquility of a tropical garden in the sky, with exclusive access to the 150-meter outdoor infinity pool and observation deck at the Sands SkyPark one of the world’s highest public cantilevers, for a breathtaking, magnificent view of Singapore and beyond. SkyPark is an engineering wonder as it is located 200 meters (656 feet) above the sea, and if one is to consider the structural load which the three towers carry it is just amazing. 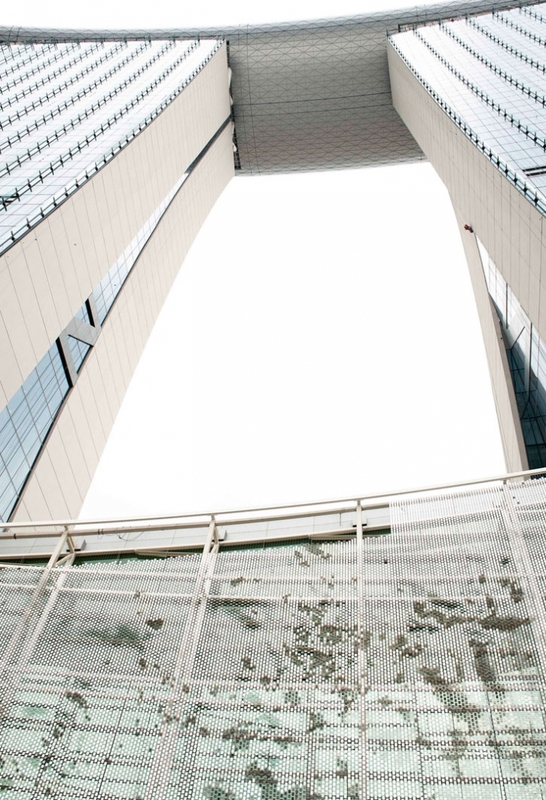 The SkyPark spans from tower to tower and cantilevers 66.5 meters (213 feet) beyond. Shielded from the winds and lavishly planted with hundreds of trees, the SkyPark celebrates the notion of the Garden City that has been the underpinning of Singapore’s urban design strategy. Equal importance was given to landscape architecture by, a sequence of layered gardens which provide sufficient green space throughout Marina Bay Sands. The gardens extend to a tropical garden landscape from Marina City Park towards the Bayfront. The architectural landscaping design has created an arrangement which strengthens urban connections with the resort’s surroundings and every level of the area has green space that is accessible to the public. Large pedestrian walkways open to tropical plantings and water views, creating a relaxing aura for the public to enjoy. Nearly fifty percent of the roofs of the hotel, convention center, shopping mall, and casino complex are planted with trees and gardens which thus create a sustainably designed building which assists the atmosphere of the city with its landscape architecture. 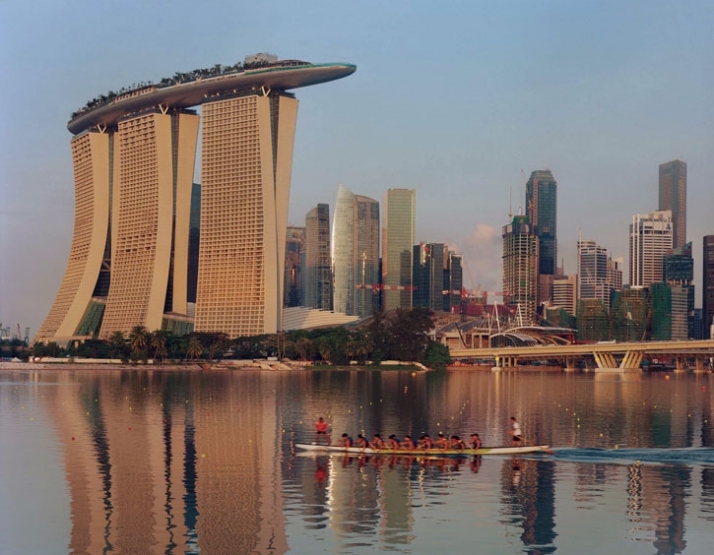 Furthermore, Moshe Safdie selected five international artists to create eight monumental large-scale public art installations for Marina Bay Sands. The artists worked closely with Safdie to ensure that the site-specific commissions complement the architecture and energize the public spaces. The artists who created works for Marina Bay Sands are: Antony Gormley // Drift, Chongbin Zheng // Rising Forest, James Carpenter // Blue Reflection Facade with Light Entry Passage, Ned Kahn // Wind Arbor, Rain Oculus and Tipping Wall, and the late Sol LeWitt // Wall Drawing #917, Arcs and Circles, and Wall Drawing #915, Arcs, Circle and Irregular bands. All in all, the large art installations complement and integrate well with the architecture and the surrounding environment. 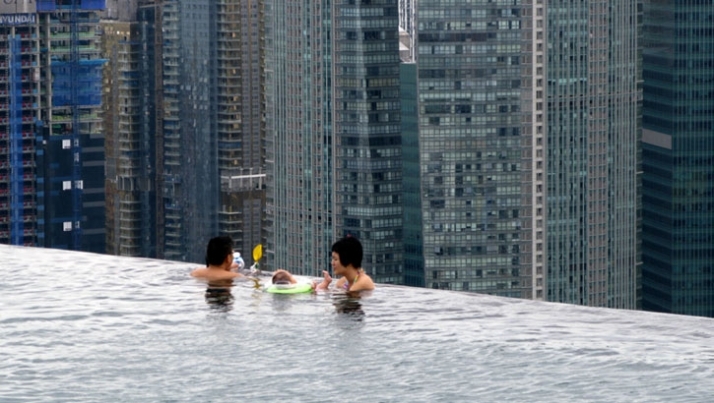 Despite the few months of operation, Marina Bay Sands is a building project which has created its own microcosm of a city within the development. 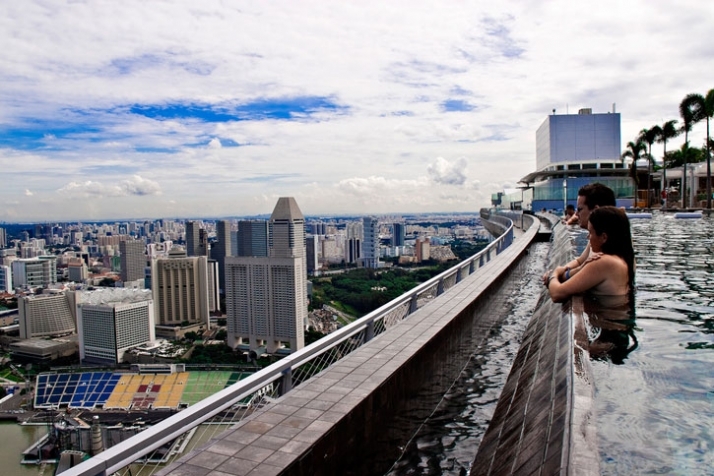 Marina Bay Sands seems to make a bold statement in Singapore’s culture, and contemporary life. Furthermore, it is surely an architectural and structural engineering achievement which sets the bar high as it brings pioneering techniques for the engineering sector.